The latest innovations in machine tools, integrated robots and workholding, plus professional engineering recommendations, are your assurance of maximum efficiency in machining. 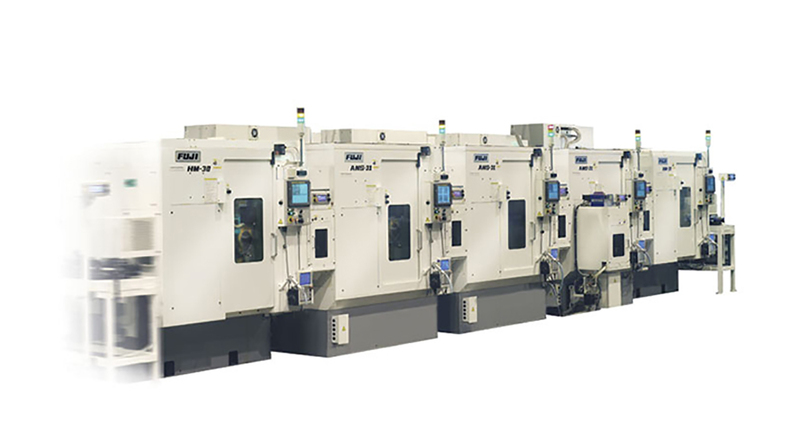 Fuji's line flow systems are customized to meet your exact manufacturing demands. Fuji engineers first learn all they can about a customer's application and then provide the best engineering solution. Based on decades of experience and a commitment to reaching process perfection, using robot-integrated machine tools, our solutions support a lean manufacturing approach. 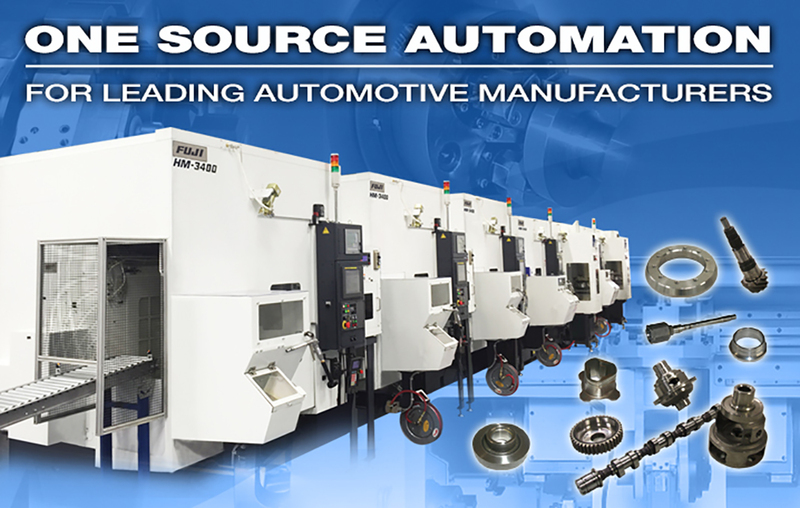 This approach dictates that all operations are coordinated to produce a completed part, and that product is ready to be shipped as close as possible to when the costs of manufacturing are incurred. Fuji self-contained automation makes these line flow machines ideal for re-tooling, for use as stand-alone units or to perform in varying combinations.